The lob is a very important shot in tennis. It is mostly used as a defensive shot but can also be used offensively. 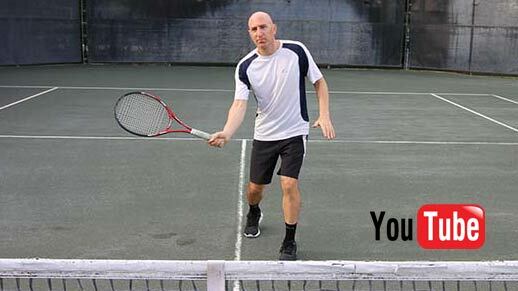 Every serious tennis player needs to learn the lob. 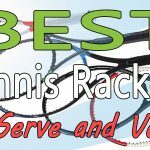 When you’re in trouble on the tennis court, often it’s your last and best resort. At the pro level, the lob is rarely effective. But at the recreational level, it’s an excellent option. This is because most recreational players struggle with their overheads. 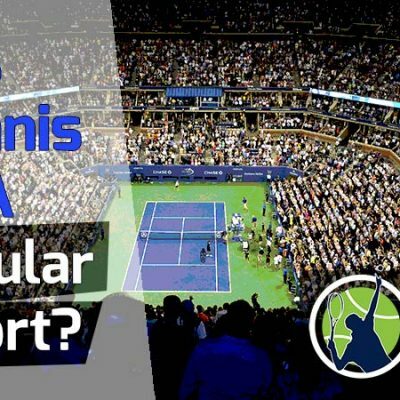 So how do you hit a great tennis lob? Here are the basic steps in a nutshell, but it really depends on what kind of lob you hit. If you have the time, set up in your normal power position. Drop your racket about a foot lower than you normally do when initiating the swing. 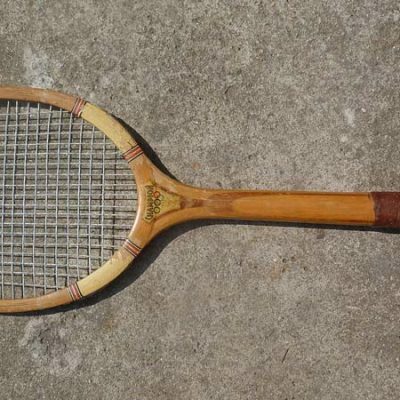 Open the racket face slightly so that the ball goes high into the air. When executing your swing, the angle should be an extreme low to high trajectory with your hitting hand finishing at or above your head. After the lob is completed get into the best position possible to deal with the coming overhead. Once the opposing player begins to hit it, split step, and try to anticipate the location of the return. Personally, I love using the lob. But my opponents don’t like it. Once you get a feel for it, it can be used in almost any circumstance, even on the return of serve. While the lob can be a great shot to hit, it’s like a double-edged sword. If you make a great lob and win the point, then fantastic. But the lob can easily fall short and be clobbered by your opponent as well. 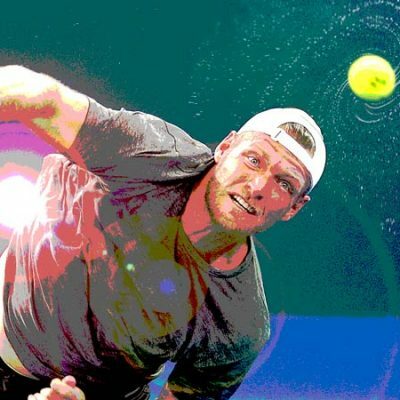 Even the best professional players in the world can’t hit great lobs consistently. At the club level, a deep lob will ensure you win or get back into the point most of the time. But often it’s a crapshoot, which is why it’s better left as a defensive shot. There are several factors that go into hitting a great lob. 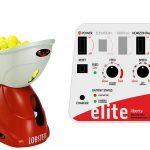 I’ll go into each during this post, as well as expound on the technique involved for both the topspin lob and the slice lob. I’ll also explain the best times to use the lob. There’s probably nobody better to learn the lob then from me. I’ve foiled many an opponent with it. 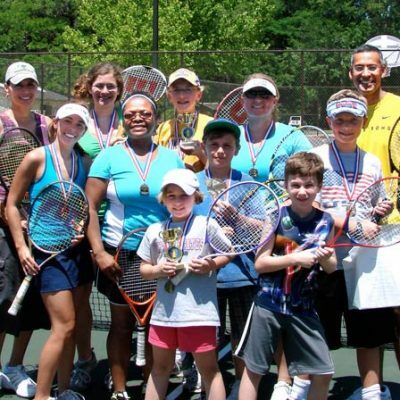 When I first started playing tennis, I was thrust into a much higher level than my skills and talent could handle. I, therefore, relied on the lob an awful lot (and some quick legs) to get myself out of trouble. As I would often lob during tough circumstances, I began to develop a feel for how to hit the lob at just the right height, trajectory, and pace to make it land within a few feet of the baseline on most shots. So let me impart my lob wisdom on you. You’ll be a better player for it, and I’m sure you’ll vex your opponents to no end as well! The topspin forehand lob is probably the best choice for hitting a controlled, effective lob. This is because the forehand typically has more control than the backhand. It’s also because the slice lob is not nearly as effective as the topspin lob. 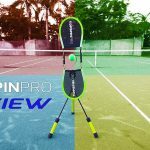 With topspin, the ball can be kept in the court with a higher margin of error and drops faster. This plus the fast spin makes it difficult for your opponent to key in on the overhead. I often find players misjudging their overheads when I impart a lot of topspin on the lob. 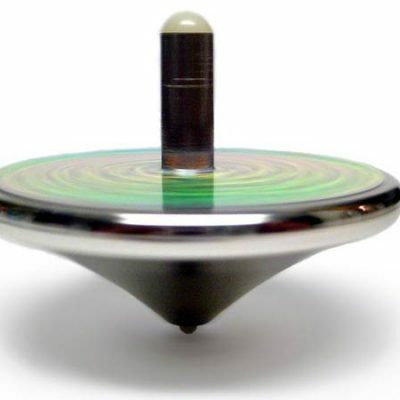 The topspin lob can be hit when stationary or on the run. For that reason, it can be used defensively or offensively. The best way to hit the forehand topspin lob is to disguise the shot. You want to make it look like you’re hitting a regular topspin groundstroke. Really this can be said for any lob. This will fool the opponent, who is expecting a normal passing shot. Instead of backing up for an overhead, he or she will be digging into the ground, awaiting your fast-paced shot. And then, out of the blue, you easily lob your opponent and win the point. Your opponent scratches their head and wonders how that happened. While that’s not always the case, it should be in theory. To hit the forehand topspin lob, set up in your power position first. Of course, if you’re on the run, you won’t have time to set up in the power position, but the lob can still be very effective. I like to start with my racket high (in the power position) and then drop it really low under the ball. 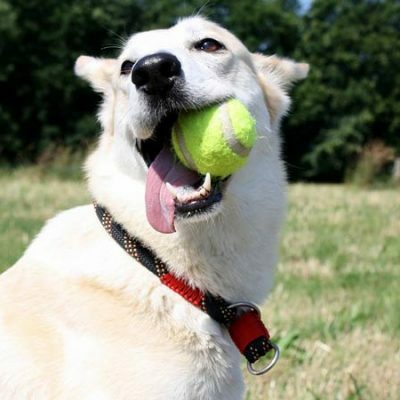 I open the face slightly so that the ball will go high in the air. When you hit the lob, you need to swing slower than normal, perhaps 50-70% of normal speed. 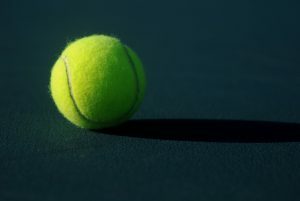 If you swing too fast, unless you’re imparting a world of topspin on the ball, it will sail out of bounds. On the topspin lob you need to finish the stroke high. The angle of your swing path is going to be much greater than a normal rally shot or drive shot. It’s a very low to high swing path. Of course, the best way to hit the topspin lob is to practice it. Stand on the baseline and have a practice partner feed you balls relatively easy to hit. When you hit the lob, make sure it goes past the service line. If you can get the lob to land a few feet before the baseline, or closer, you’re doing great. You also need to be sure you’re hitting high enough that the net man can’t reach the ball. You may be wondering how high to hit the ball. Let me say a couple of things about the height of the lob. Lobbing very high can make the ball more difficult to hit because it comes down faster. However, it also gives the net man more time to get to the ball. Keep in mind there is a tradeoff on the height. The higher you hit, the easier it is to get to the lob. At the same token, the higher you hit the lob the more difficult it is for the opponent to time it. One more takeaway. If you lob the ball very high, you run the risk of hitting out. It’s more difficult for you to control a high lob. On a windy day, high lobs are a dangerous ploy, so be careful. Perhaps the best indicator of how to lob would be who you are trying to lob. If you’re lobbing an opponent with a great overhead, you’ll need to be very precise with your lobs. If I play a guy who is crushing the overheads and rarely misses, I’ll change up my strategy and go for crushing passing shots. It’s also a good idea to mix in some hard passing shots with the lob, so your opponent can’t read you. If you’re lobbing an opponent with a weak overhead, you can just hit it high to the middle of the court to be sure the ball stays in the court. In this instance, you’re gambling the opponent will miss the shot or hit a weak overhead back. If their overhead is indeed weak, this is what you can expect. The backhand lob is usually more difficult for most club players. If you’re into tennis, you know players can have either a one-hand backhand or two-hand backhand. No matter which one you hit with, you’ll start by setting up in your power position. This assumes you have the time to do so. Otherwise, you’ll have to skip the power position and just hit the lob from a scrambling position. 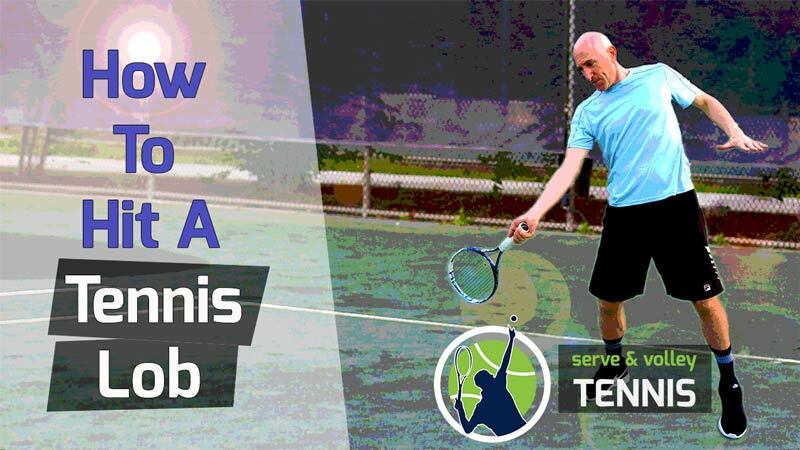 As you did on the forehand, drop the racket about a foot lower than normal, open the racket head slightly, and swing up with a steep trajectory. Your racket should finish high, about head height or over. Once you complete the lob, move into the best position possible to field the oncoming overhead. Then split step once the opponent starts to hit the ball. Always assume the ball is coming back and try to anticipate where it’s going by watching the opponent’s racket. This is exactly what I do on all my lobs. I don’t recommend hitting a slice forehand lob unless you must. It’s too easy for the opponent to catch up to, read, and smash. Unless your opponent has awful overheads, I wouldn’t attempt this shot. For this reason, I won’t go into much detail on the technique. The way I would hit the forehand slice lob is to treat it like a regular forehand slice but angle it up into the air. Again, I don’t like this shot because it’s too easy for your opponent to smash. I could see using this shot on the return of serve on a fast-paced ball – but it would be a last resort. The only other time I could see using the forehand slice lob would be if you were strung out very wide on the forehand side and used it as a squash shot, floating it high. Again, not very effective, but at that point, it could be your only option. This shot is more common than the slice lob on the forehand side. But it’s not as common as the backhand topspin lob. If you resort to slicing on the lob, it should be because it’s your only option. I could see slicing against fast-paced serves, volleys, and groundstrokes. On such shots, you often don’t have time to hit topspin. 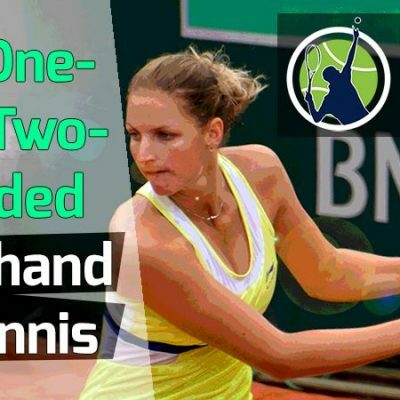 Whether you have a one-handed backhand or a two-handed backhand, you’ll still be slicing with just one hand. Get into slice position and angle the racket face up. You’ll need to drop the racket head under the ball to hit the slice lob – but not nearly as much as a topspin lob. Come from under and finish up high. The ball will have backspin, so it needs to be high and deep to be effective. If you have a choice between a topspin lob and a slice lob, always go with the former. When the opposing player is at net – or is rushing into the net. When you are forced out wide and cannot set up for a normal groundstroke. 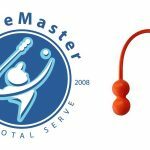 On the return of serve (mostly used in doubles to take the net man out of the equation). When you’re off the court or your doubles partner is off the court, and you need time to get back into position. This particularly works well when your opponent stays at the baseline. When you’re very tired and need to recover for a few seconds. Again, this strategy only works if your opponent doesn’t venture to net. The lob can be an excellent ploy to keep you in a point when you’re on the defensive. Remember, you’re much better off percentage-wise hitting a well-placed lob than trying to rip a 90-mph passing shot. Interestingly, I’ve seen players use the lob as an offensive shot with medium-height topspin lobs and a lot of spin. This only works at the club level against 4.0 level players or lower who stay at the baseline. If the lob is allowed to hit the ground, especially if it has topspin, it often bounces high and deep. This will cause the player trying to hit it difficulties. The best way to deal with offensive lob shots like this is to hit them out of the air as overheads. If the lob hits the ground, take the ball on the rise and slice them hard. That’s the strategy I employ. The lob is mostly a feel shot. If you practice it often, you’ll definitely get a better feel for it. Some of the players with I know with poor technique on their groundstrokes, have great lobs. The good news is that you don’t need to have a lot of talent or skill in tennis to hit great lobs. It comes down to repetitions and using it often during match play. Keep in mind the wind will definitely be a factor when lobbing. If you lob with the wind, it’s a lot easier than lobbing against the wind. I really don’t advise lobbing into a strong wind. If you’re playing on a sunny day, the sun can be your ally during lobs. Sometimes the opposing player is blinded by the sun, but it depends on its location of course. If you’re playing at night, I recommend lobbing high, especially against older players. They tend to lose sight of the ball once it leaves the confines of the lights. Even younger people can struggle with tracking a high-placed lob at night. Well, that’s it for this blog post. Make sure you watch my video on the lob to get a good visual of what I discussed here. 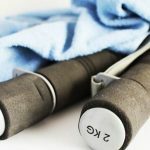 I hope the information in this post helps you acquire a better tennis lob. If you have any questions about it, please leave them below and I’ll respond.